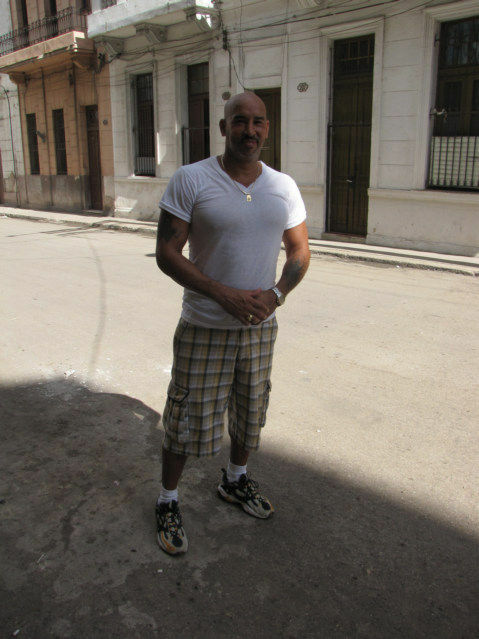 Many young Cuban men are body builders, there is very small gym close to my Casa Particulare. This is Randy, he is works as a cook in a local school, he has been in Cuba for about a year. He lived in the USA from age 15 until now, but came back for some unknown reason. 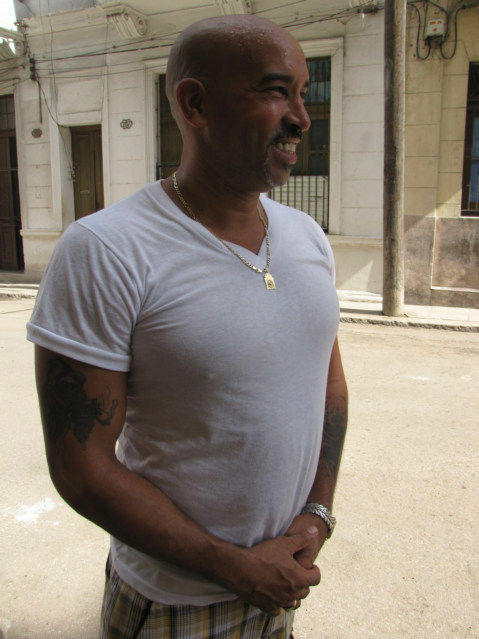 He said it was very difficult for a Cuban to come back, but easy for tourist. I met him, when he asked me why I was taking a photo. I got permission to take his photo, it is difficult to explain small nuance of a culture such as weightlifting. People assume a one faceted aspect of a country, while every country has many faces, this is just one face. Generally, average white people are older looking, out of shape, face drawn and full of wrinkles. While the people with more Africa bloodlines are in better shape, faces are smoother, and generally look healthier than the Spanish dominated bloodlines. The African women get fat after about age 20, as is normal for African body types. There are two classes of people in Cuba, those who have, and those who do not. All the luxury goes to one class, the essential are provided to the lower class. I think there is some movement up and down, but it is difficult to understand. Many people will say they are poor, but the rich will not say, I am rich. Be extremely careful when people approach you for any reason. If they try to be your friend, if they make the first move, normally there is a problem. I am approached daily by 1-3 people, if I was in a tourist area, it would be 5-10 people. They all want to help me, be my friend, take me free somewhere; it is an I am your best friend scam.